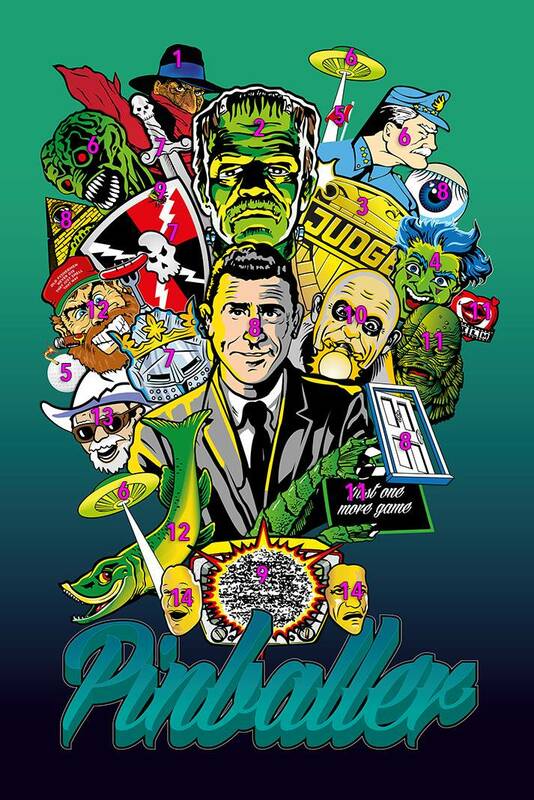 » Forum » All Pinball » All gameroom talk » Contest, win a poster. » Contest, win a poster. I just designed a new poster, I went for the same art direction as my first poster but I wanted to make it look like that but on steroids. 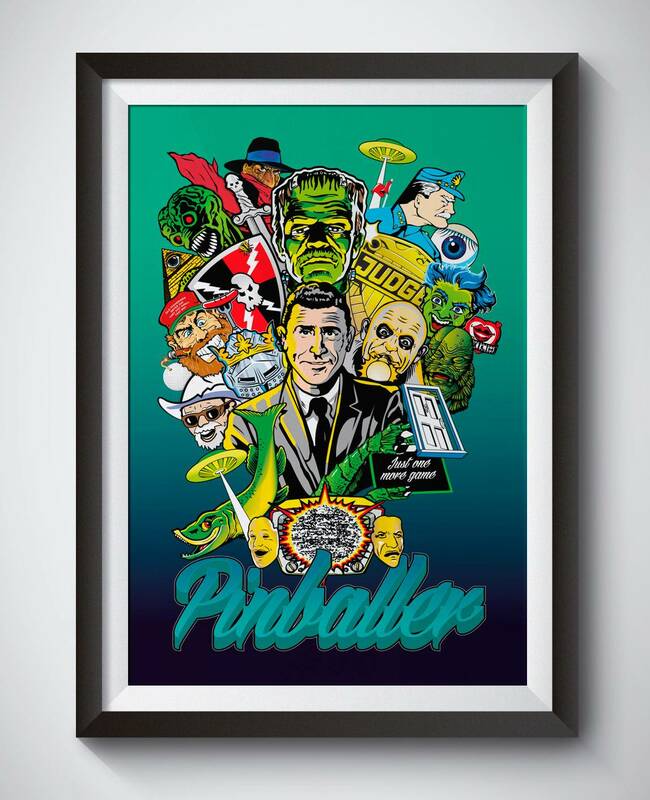 The first one to PM me the name for each machine of every piece of graphic will win a free poster. Write a post here (something like: "PM sent") after you've sent me a PM. Note please PM me your answer because if you write it here and missed a machine someone might cheat of your answer. I will announce the winner in this thread tomorrow. This is my first ever contest so please bare with me. I will check the pm's tomorrow. If your late to the party send me a pm with your guess anyway, you never know, the people that where first out might have missed a pin or got a title wrong. Also, don't forget to make a post here ("pm sent") so everyone can se you're participating in the contest. Is there a "trick" one in there? Come on people, the competition is still active. Are you saying that no one has got it yet? Had to think one of the knowledgeable people above had it right. I might have missed a real tricky one so I submitted with one more added. They might have, I just haven't checked the PM's yet. Oh, and VERY nice poster, by the way. Quoted from spfxted:Oh, and VERY nice poster, by the way. PM sent! I've got this. I counted 14 games. Anyone else? Yeah every time I look I see one I didn't see before. Damn! There are some sort of 'hidden' ones. Nice poster regardless. Might want to offer them up for sale as not everyone will win. FYI, they are for sale in all sizes on his website he noted in his first post. I missed that text under the poster...sorry. Just found this but "PM sent for fun anyway. I like that image, gonna order me a shirt. Nice job. Congratulations!!!! I’ll try to get you the poster as soon as possible. Thanks to everybody that participated in the contest! I would really like to be able to give out some more prices but I am unemployed right now and paying for this out of my own pocket. Nice. I got all of them. But I threw in a #15 as a "Revenge from Mars" since those martians and saucers are on both games. Ordered an art print of it. Should look great in the game room. I hope you create more art in the future. A similar concept for top-ranked Sterns maybe? Or Data East? If I may ask….why are the Creature's eyes closed?? Yes,AFM/RFM was a litlle tricky but the saucers and martians are depicted a litte diffrently on RFM. Some thought that the flag was from funhouse but it's actually the "green flag" from NGG. Thank you! I have done a bunch of other designs but no daya east or stern yet, I'm plannong on doing that though. 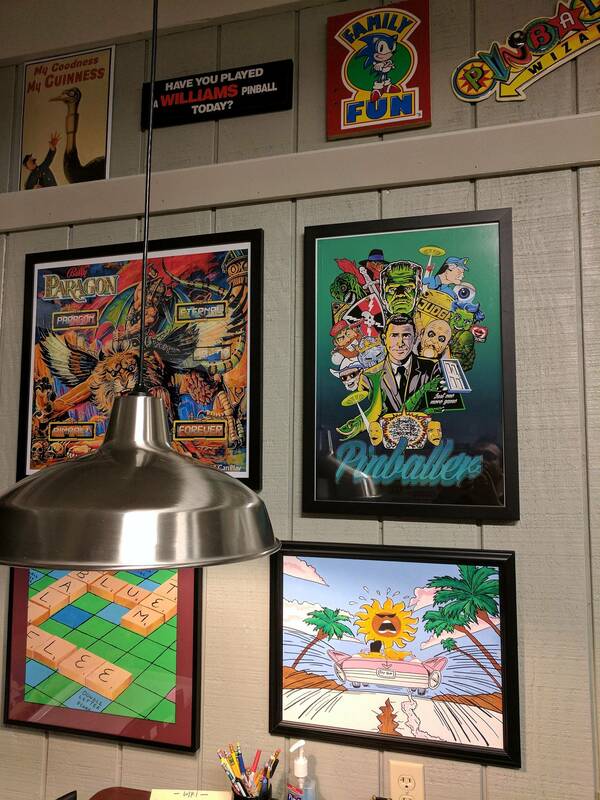 Please post a picture of the art print in the gameroom thread when you get it. I imagine that's what he looks like when he's waiting to be found, maybe he's sleeping. Looks like you were right the first time....I had EATPM in addition because of the hot dog on top of Black Knight... Was wrong though. For everyone that participated in the competition and didn't win, both you and anyone else can get 20% of all items by using the code TEAFOR20 in your shopping cart. Click "add a coupon" in your cart and type: TEAFOR20 to get 20% off!!!! Don't know how long this promotion will last, it's usually 24 hours. So I did have it right the first time but when the first person to post had it solved before I saw the thread, oh well. I did specifically mention the saucers and Martians were definitely from AFM not RFM. My second was second guessing myself and added that I thought the flag was Funhouse. Thanks for putting this together. It was fun and a nice looking poster. Thanks to Webdiddy for the winning poster! 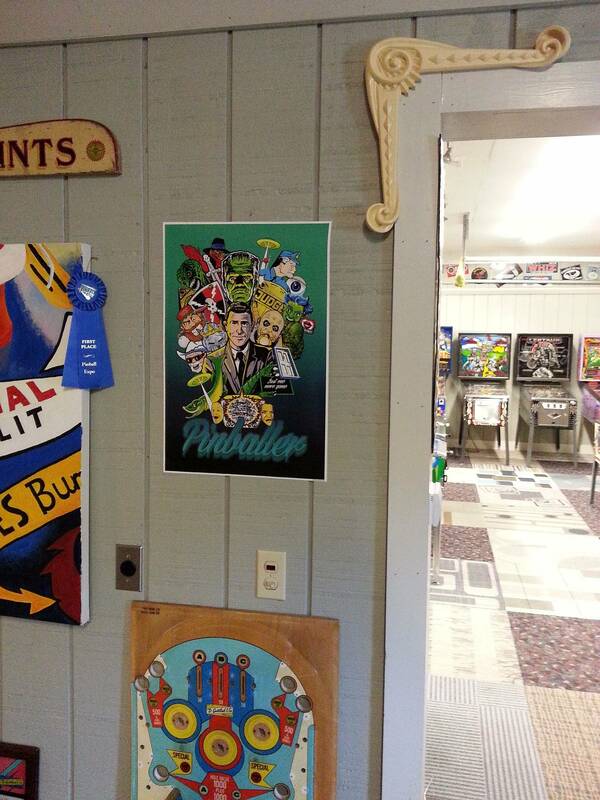 Here's it is on the gameroom wall right above the ball bowler. Get 20% off the whole kit and caboodle. Use JOUST20 at the check out! Rearranged the gameroom, moved some artwork around and got the poster framed. Here is the wall it ended up on. Wow, looks nice, good job!